All purchases receive 21 days free of training access at Living.Fit! When you purchase a kettlebell(s) get a link to Living.Fit for 21 days which hosts hundreds of full length workouts, kettlebell movement demonstrations, meal plans, recipes, warm ups, cool downs, stretches and more! This is perfect for those new to kettlebells to get acquainted with movements as well as veteran lifters who want new workouts to follow! Competition kettlebells are made of steel and are all the same size regardless of weight for a uniform training experience at all times. The bells are designed for high repetition exercises. If you have used barbells, think about when you train with plates that are all the same size regardless of weight so your form is always the same during Olympic lifts. 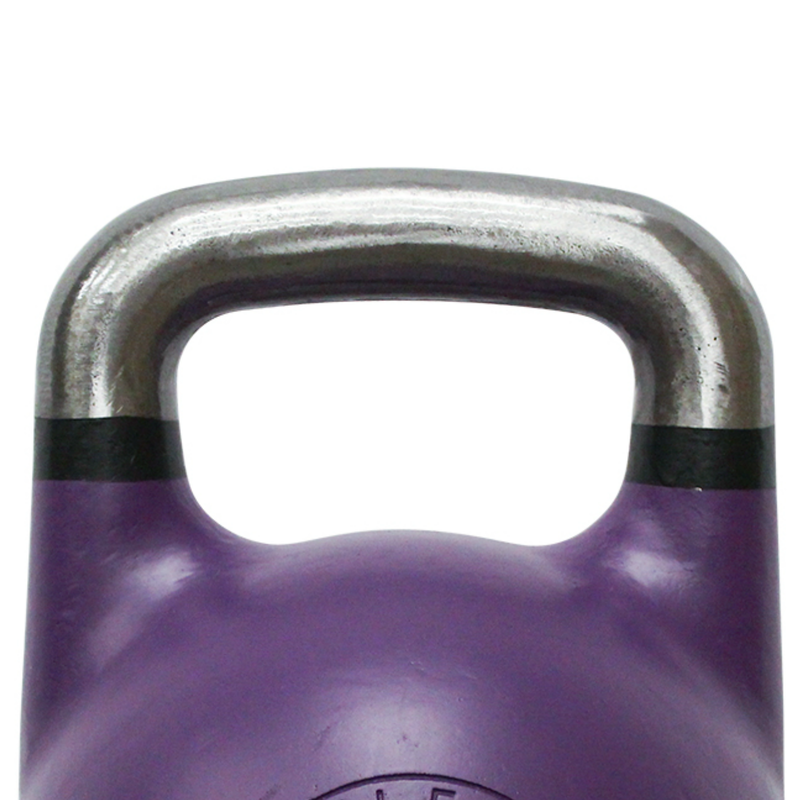 Competition Kettlebells are the same premise in kettlebell form. NO WELDING, cast as one solid piece instead of welding parts.WINDOW, size and curvature compared to other models is designed for easier insertion with comfort overhead and in the rack position during lifts. More comfort and easier insertion equal better workouts and new personal records in strength, endurance and competitions. 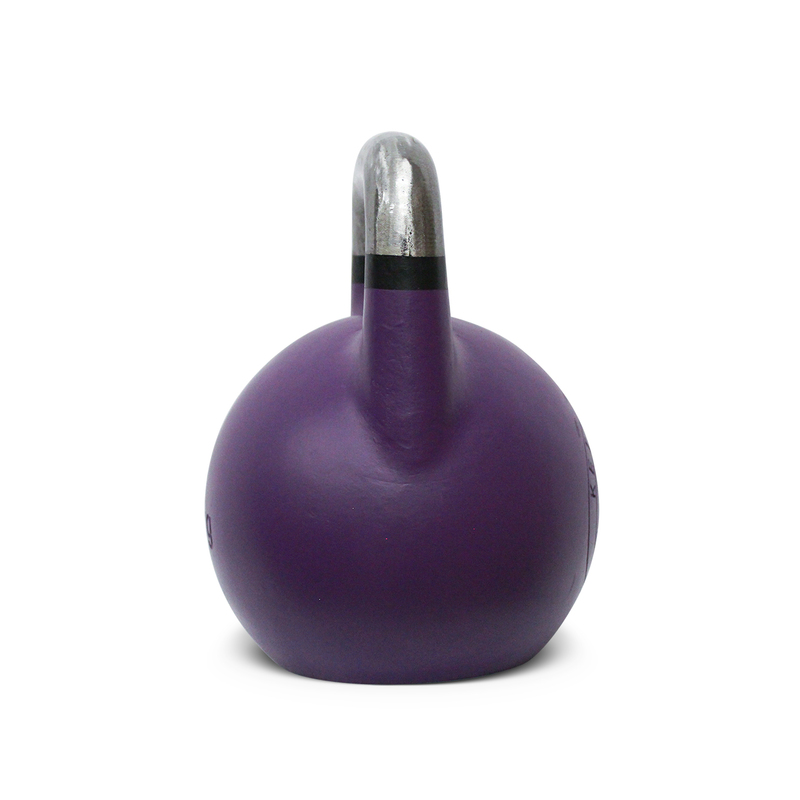 Specifically top-heavy molded with a thicker handle base and a greater percentage of load toward the top of the bell's body. This ensures that the kettlebell does not pull the lifter's arm to the outside when overhead or in the rack (resting at waist level) yielding injury prevention and energy conservation. MADE for Kettlebell Sport, meets Girevoy Sport Union (GSU), IKFF and International Union of Kettlebell Lifting (IUKL), WAKSC & OKC standards. GRAVITY CAST to specific weight, gravity casts create better surface finish and better dimensional accuracy compared to other types of molds.